Portraits of Polish Protestant clergy should be sought not in churches, but in the collections of the Olsztyn museum. 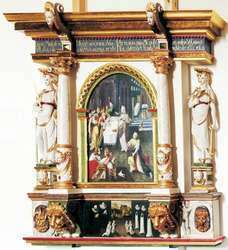 Usually less propagated is the fact that they are a, small in numbers, part of the rich and exceptionally valuable in artistic terms collection of works of arts from three centuries of modernity (16th–18th C.) created by Lutherans on the lands of the former Duchy of Prussia. The Museum of Warmia and Masuria makes efforts to render it continuously available to a wider audience (the Art of the Duchy of Prussia exhibition in Morąg) and, as research and maintenance works on this set progress, it presents pieces which are most valuable and, at the same time, of particular interest in the full cognitive context. This latter aspect is of great importance for education. The current exhibition gathers several dozen epitaphs and portraits of people from all the social classes of the Duchy under the rule of the Hohenzollerns: rulers (princes Albrecht and his son Albrecht Friedrich), nobility (the Borek, Dohna, Auerswald and Kreytzen families), clergy (among them, two portraits of Martin Luther), burghers and peasants. The seventeenth-century portrait of a peasant – sołtys of the village Tołkiny near Kętrzyn – simply stands out against other works of the era with the unusual, for the time, naturalness of the view and accuracy of psychological characteristics. The "gallery" part of the exhibition is preceded by the decor of the sacred interior of the former castle chapel, using books and other objects involved in the liturgy. 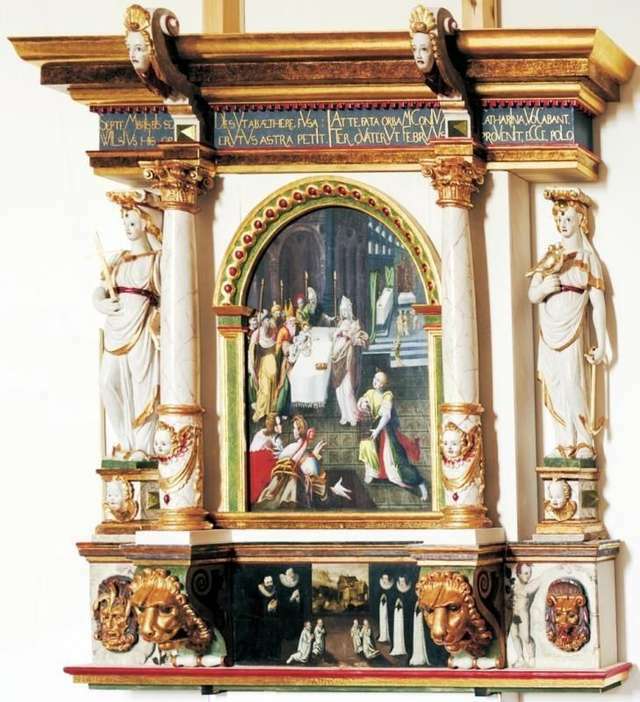 It also contains pieces made available by the Masurian Diocese of the Evangelical Church of the Augsburg Confession, which took the honorary patronage of the exhibition.